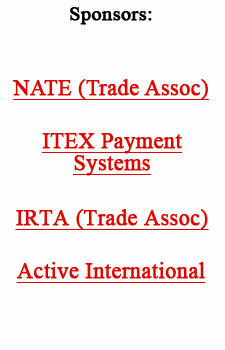 The International Reciprocal Trade Association?s Europe Chapter of trade exchanges and E-Banc Trade in The Netherlands has announced the dates March 24 - 26 for the spring conference. Following up on the successful theme of the past IRTA World Congress, held last September at Disney World in Florida, the attendees will be ?Reaching For The Stars: Uniting People and Standards In A Cashless Trading World.? The European Conference will be held at the Hotel Haarlem Zuid. Social events are scheduled as well as an opportunity to tour Amsterdam, one of the world?s great cities. For additional information contact IRTA Executive Director Krista Vardabash at (585) 424-2940, or see www.IRTA.com. ?I believe Bartercard is now in excellent shape to realise its considerable potential to grow internationally and to generate excellent value for shareholders.? On December 7, 2005, Chairman Wayne Sharpe provided some insight and figures on Bartercard?s first interim results as a publicly-traded company. For the six months ending 30 September 2005, Bartercard had a turnover (gross revenues) of $27,811,038 with a profit before taxes of $556,493. Sharpe?s letter reported, ?All of the company?s major subsidiaries performed ahead of forecasts during the period and the largest, Bartercard UK and Bartercard Australia, were consistently profitable, with a new national trading record being set in the UK in May. ?In all company owned and licensed operations 6,700 new members were acquired globally, with trade volume over $1.25 billion, and ten new offices opened taking the total to 130. ?In September, a contract was signed to re-acquire the majority interest of Bartercard USA. We believe that there is considerable potential in these territories and expect that there will be a meaningful contribution from them in the second half of the financial year.? One of the world?s most successful financiers is George Soros, who, in addition to running several successful hedge funds, also sponsors major philanthropic efforts under the umbrella of The Soros Foundations which operates in 22 countries spending hundreds-of-millions of dollars annually to drum up democratic support in countries around the world. 1) The U.S. Federal Reserve may raise interest rates too quickly and set them too high, which will bring the mighty American housing market to its knees...and the economy with it. 2) In 2007 expect a U.S. recession, as the Fed spends all of 2006 raising rates to fend off inflation. ?They can?t stop raising interest rates until the economy shows signs of a slowdown.? 3) China could come to rival U.S. in terms of economic status if it establishes the democratic reforms necessary for significant economic growth. 4) Europe is growing relatively well but a ?hard landing? in the U.S. will be associated with a decline in the dollar, which would hurt the European economy. According to Forbes magazine, Bill Gross is among America?s richest 400, with a net worth of $1.1 billion. The 61-year-old financier is Pimco?s chief investment officer and earns a $40 million annual salary. In The Wall Street Journal, a recent article (December 29, 2005) reported that Gross did a rather unusual simultaneous barter with some of his assets by trading a block of four rare 1918 stamps for another very unique stamp, an 1868 Z-grill depicting Benjamin Franklin. Reportedly, Gross had bought his block of four stamps, which depicted an upside-down biplane, only two weeks before the $2.97 million trade. The Z-grill, which was owned by Donald Sundman, president of Mystic Stamp Co., had been purchased in 1998 for $935,800 as an investment. The stamp?s value had since climbed to nearly $3 million with the trade. The bartered swap would never have come about without a trade component, because Sundman wanted to avoid taxes on the large profits that would accrue from a sale. Therefore, a barter transaction was structured to comply with the 1031 rules for ?like-kind? trades of similar assets. Such a strategy allows participants to defer capital-gains taxes when they replace business or investment assets with similar property of equal or greater value. For years, investors have used 1031 exchanges primarily for real estate. But as people grew familiar with the tactic they began diversifying into a wider variety of investments assets, as did Bill Gross. In the U.S., national banking laws generally bar banks from owning and developing commercial real estate unless the buildings are predominantly occupied by employees doing bank business. But recently the Comptroller of the Currency, a unit of the Treasury Department that regulates national banks, incrementally broadened its interpretation of permissible development activities. In postings on its Web site, it approved major real estate projects by two banks that go beyond the scope of typical bank real estate development. The two major banks (PNC Financial Services Group of Pittsburgh and Bank of America of Charlotte) received the green light from regulators to develop and own large hotel and office properties, potentially opening the door wider for banks desiring to enter the commercial real estate business beyond their traditional role as lenders. On any good barter transaction both party?s are winners. And the story we reported recently about Howard Stern?s trade with Sirius Satellite Radio was an example of an exceptional agreement. We didn?t fully elaborate on what the total benefits to Sirius were, but they were significant. Consider that when the contract with Stern was signed fourteen months ago in October 2004 Sirius had only 600,000 subscribers, and was expecting to have slightly more than two million by the end of 2005 and 3.5 million by the end of 2006. Clearly, the ?Stern factor? has paid off in spades for both barter parties! Microsoft Corp. is considering a form of barter as a way to draw more users to its search engine business. Essentially the plan is to provide some free content or software to individuals who use its MSN Search site. Microsoft could then entice more advertisers to buy ads on its online services. MSN Search handled 12% of U.S. search queries in September while Google, the largest search engine, handled 45% of U.S. search queries. CEOs from large U.S. companies are confident moving into 2006...87% of them expect their sales to increase over the next six months, and over half (56%) said they will raise company capital spending. A Paris-based research organization, The Organization for Economic Cooperation and Development, said its leading indicator of economic activity rose in November for the sixth straight month, signaling that moderate growth lies ahead in 30 of the world?s richest economies. Overstock.com travel has added thousands of privately owned ski-area rental homes in additional to hotel lodgings, the listings are all in the Western U.S. and Canada and include most top resorts. U.S. Chamber of Commerce Chief Executive Thomas Donohue is urging corporate executives to stop issuing quarterly-earnings guidance, and instead focus on communicating longer-term indicators of their companies? health. Donohue says short-term focus prevents executives and directors from investing in their businesses at the same time that our global competitors are making long-term investments in their companies and their economies. He also noted that any executive who tries to twist himself into knots to meet a quarterly guidance expectation is making a serious, long-term mistake because of accounting rules and investor lawsuits. The Census Bureau says U.S. population is now 286.4 million, having grown by 2.8 million between July 1, 2004, and July 1, 2005. Nevada was the country?s fastest-growing state for the 19th-consecutive year, increasing its population by 3.5%, followed by Arizona and Idaho. California is the most populous state with 36.1 million people, followed by Texas (22.9 million) and New York (19.3 million). More people live in the South (36%) than any other region. The West comprises 23%, the Midwest 22%, and the Northeast 18%.